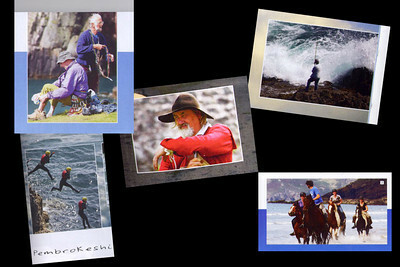 Some of my published photos. 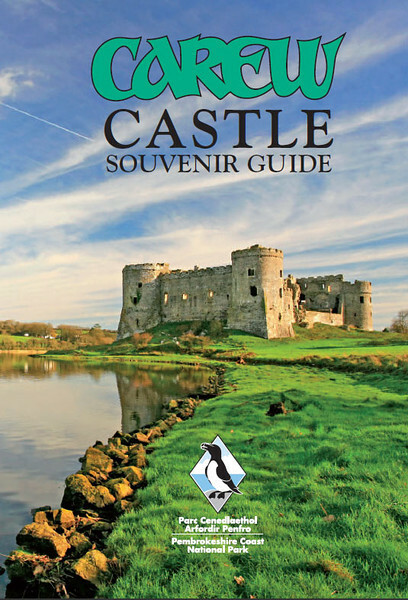 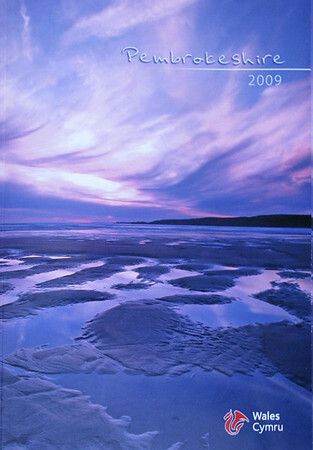 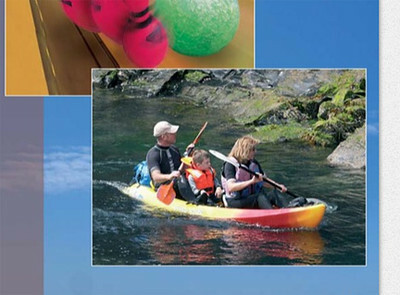 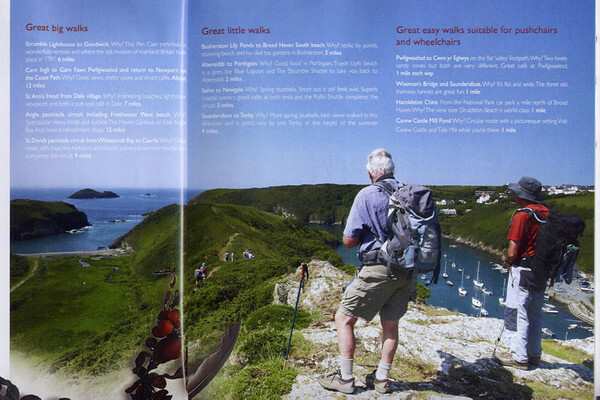 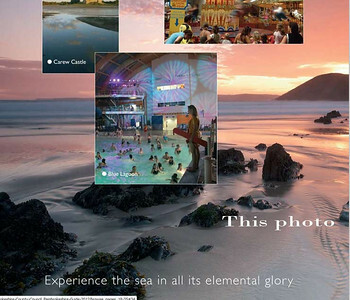 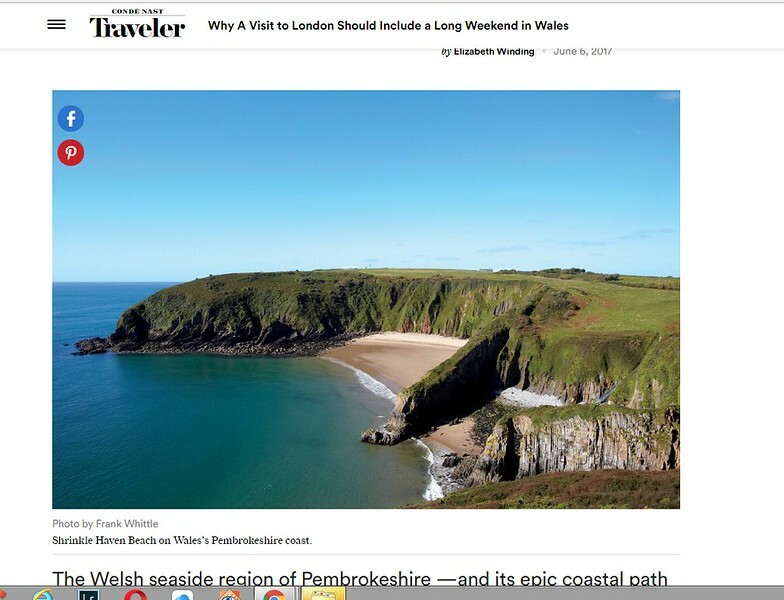 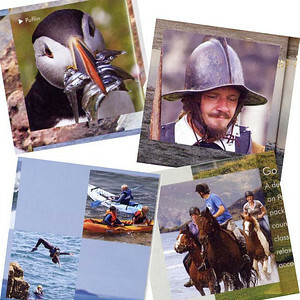 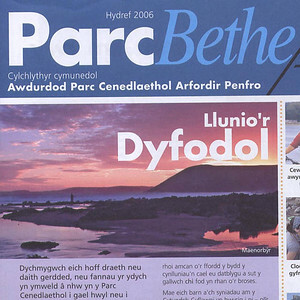 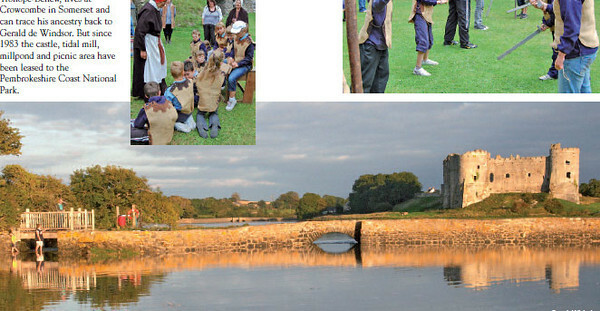 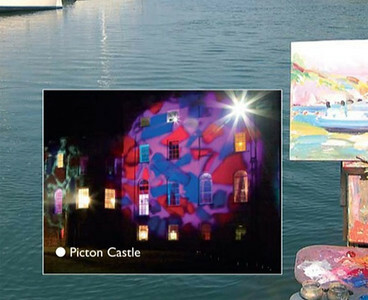 Cover photo of Pembrokeshire 2009 Tourist Brochure. 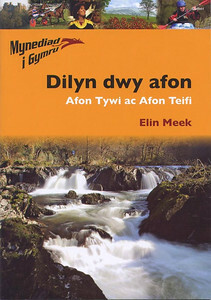 Cenarth Falls on front cover on Welsh book. 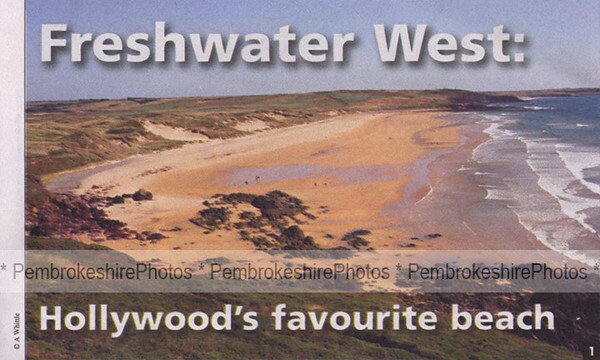 Photo used on Facebook page. 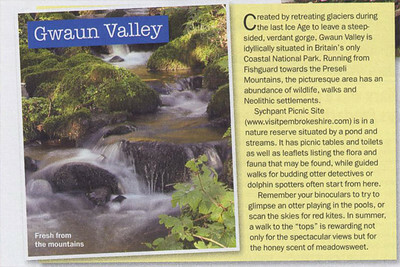 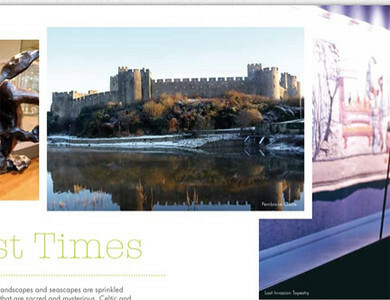 Gwaun Valley photo in My Weekly magazine. 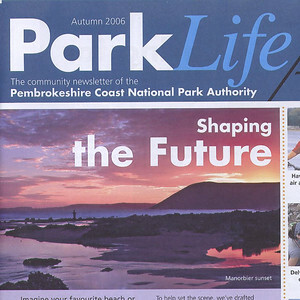 Manorbier photo featured on the cover of Park Life. 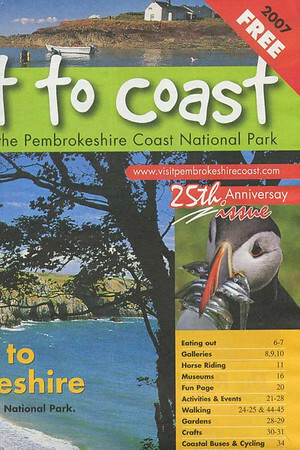 Puffin on cover of Coast to Coast magazine.